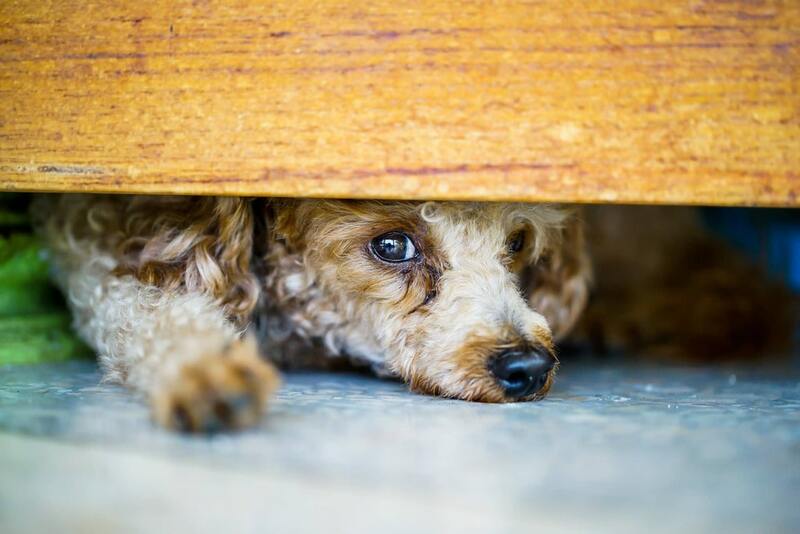 Those slobbery kisses, the scratching at the door… That’s right, we’re talking about living with dogs. Dogs have been a part of our families for 15,000 years. Today, there are over 300 registered breeds to choose from, and they really come in all shapes and sizes. It looks as though there really is a dog to suit every kind of person. However, after all this time with a four-legged friend by our side there are still some common behaviors that we don’t quite understand. It looks as though a lot is going on in between those fluffy ears after all. it’s time to learn what they’ve been trying to tell us for so long as dogs’ most common behaviors are explained. Many of our furry friends have tails. 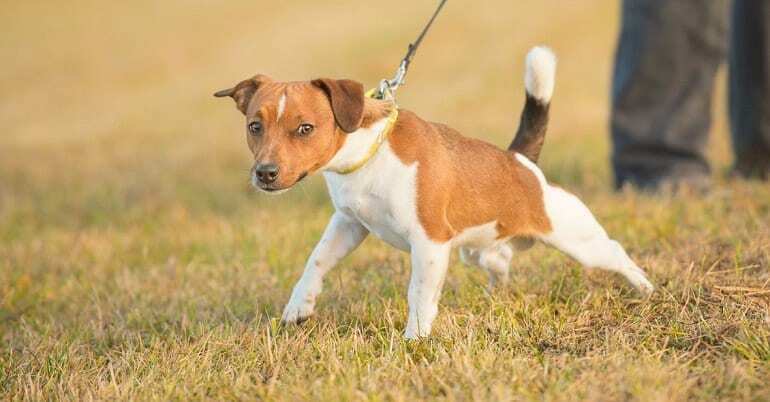 When thinking of dogs it might not be unusual to picture one running around chasing and biting its extra limb, but why do they feel the need to run in circles after themselves? Most of the time, our four-legged friends are being playful. Chasing their tail is just a way for them to have some fun. On the other hand, they are born to hunt and track. Seeing their tail is like chasing down an animal in the wild and it could be your dog’s way of going back to their roots. However, it’s not uncommon for dogs to develop OCD, just like us humans. 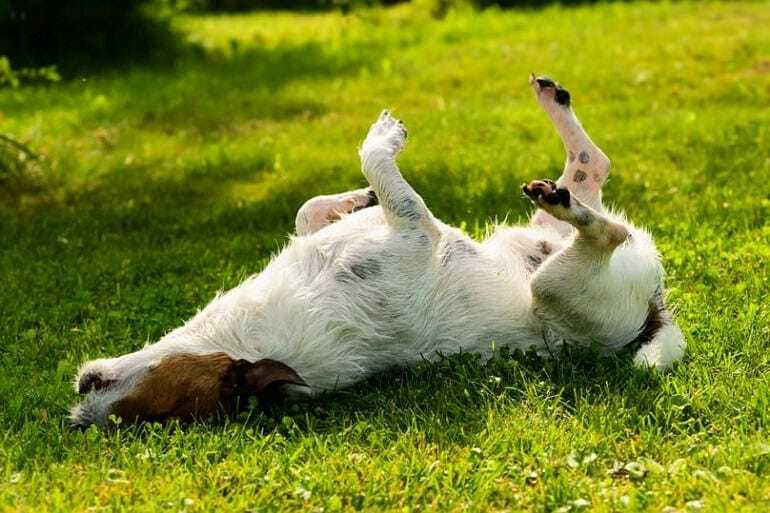 If your dog chases their tail all the time, it could be a sign they are stressed. Those doggie kisses can be the best – and most slobbery – things in the world, especially if they give you a big lick on the cheek. When a dog licks you, it’s usually their way of saying “I love you” as this behavior is deemed as affectionate in their minds. There’s also another, much more simple reason that our pooches feel the need to lick us all over. They think we taste good. 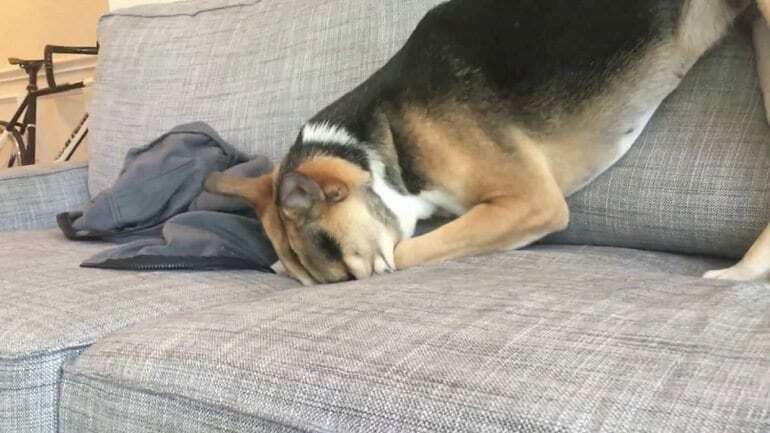 Dogs love to get their noses into anything they can. After all, their senses are a lot stronger than ours. We usually have a salty taste on our skin, and a dog licking us can also be their way of finding out about our world. 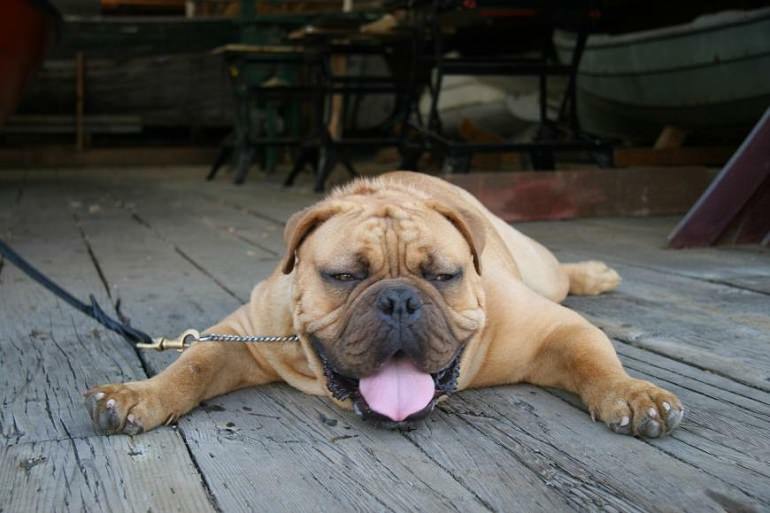 If you’ve ever seen a dog on a hot day, then chances are you’ve probably seen one panting. This is one of dogs’ most common behaviors, and it has a simple explanation. Unlike us, canines can’t sweat. Instead, they rely on panting as a way to let out their body heat and breathe in cooler temperatures. Unfortunately, this isn’t always the best way to cool down. If you notice your dog is panting a lot, it might be time to step in with a refreshing treat or some water to help them chill out. The dog has found something utterly gross and rolled in it – great. Time for a bath! Although they now smell like a trash can, there are several reasons this makes our dogs so happy. One thought is it’s a dog’s way of marking the area by eliminating the other scent. On the other hand, they could use it as a natural way to camouflage by smelling like something else. It’s also thought in the wild dogs would use the smell of something gross to tell the others in the pack they have found food. How clever! 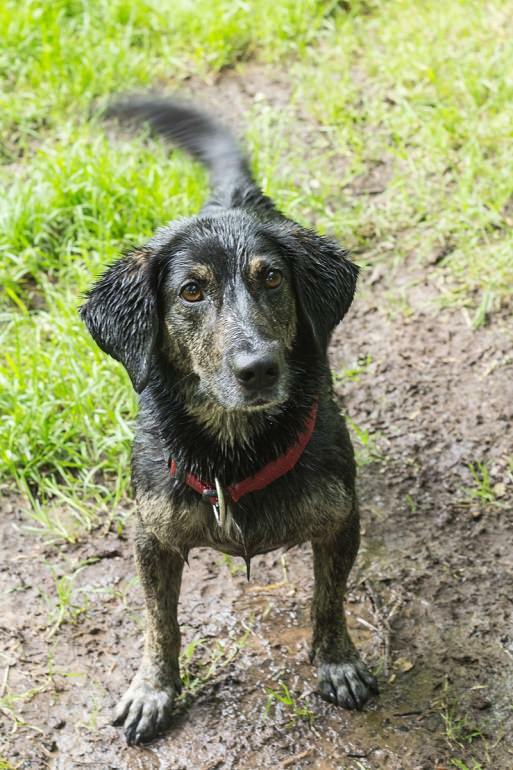 Chances are you’ve seen a dog wagging its tail at some point, but what could it possibly mean? There are several answers to the tales their tails tell. 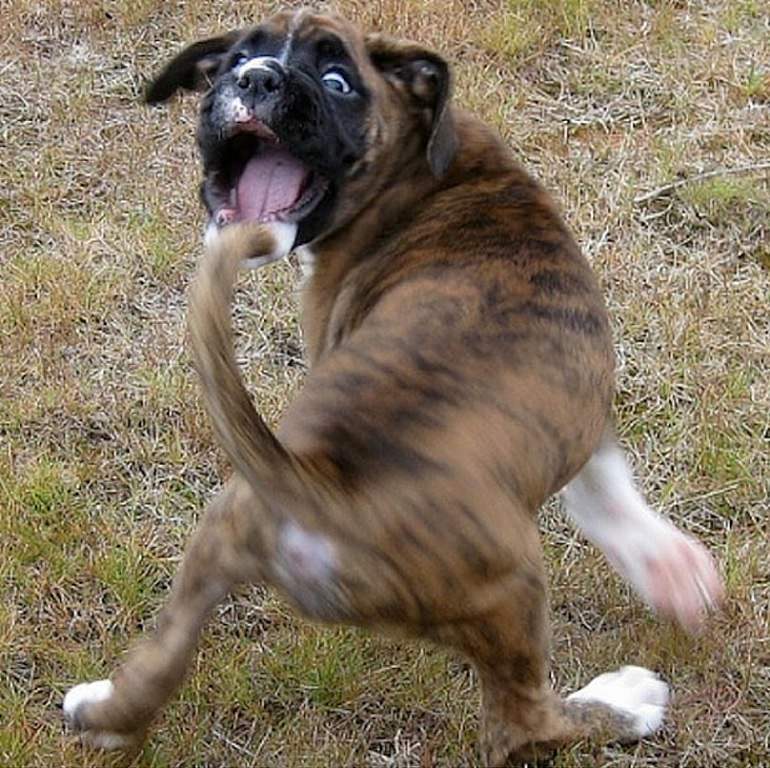 If a dog is holding its tail high and wagging it crazily from side to side, chances are they are excited to see you. Equally, if they keep their tail low and are gently moving it, you might want to get out of the way. This can mean they are being hostile. However, it’s important to look at the rest of their body language to read the situation. Do you find your dog jumping up to greet you whenever you walk through the door? Although it is a common behavior and might seem like fun, there could be a hidden meaning beneath their greeting. If a dog jumps up, it’s said they are trying to dominate us. This is because they are fighting to become the alpha of the pack by using their height as an advantage. By giving them kisses and cuddles, we could be reinforcing this behavior. 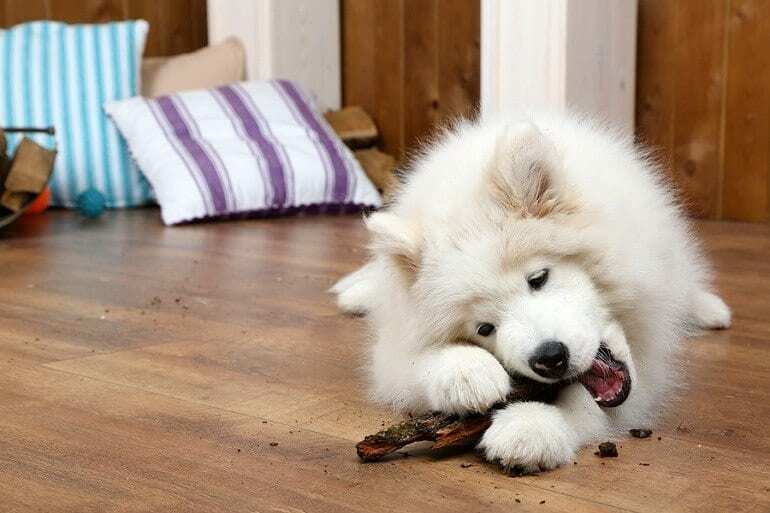 A lot of dogs in the world love their favorite chew toy or getting a bone to sink their teeth into. 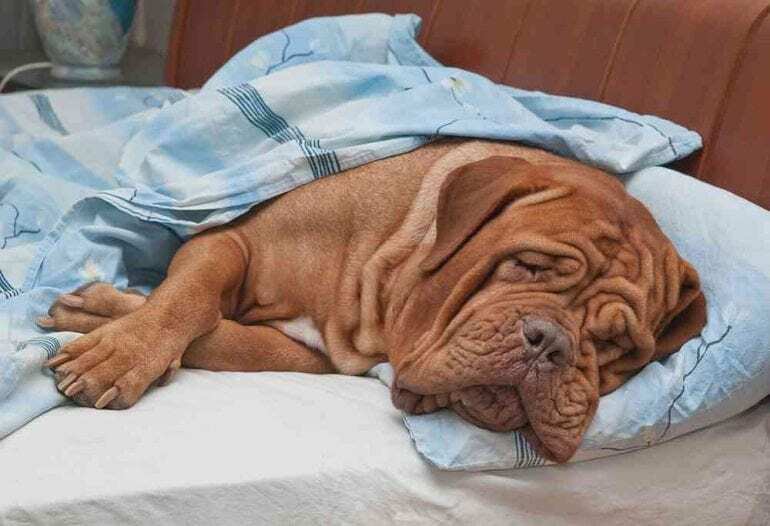 Have you ever thought about why dogs have this behavior? As a puppy, your dog will chew on things as their adult teeth grow through, just as a human baby likes to chomp down. When they are older, dogs continue to chew to make sure their teeth are kept clean as well as making sure their jaws are strong. Bath time. The small chore that can soon turn into a mammoth event as it’s all hands on deck to keep the dog still as you try and wash off that gross stench they have found. 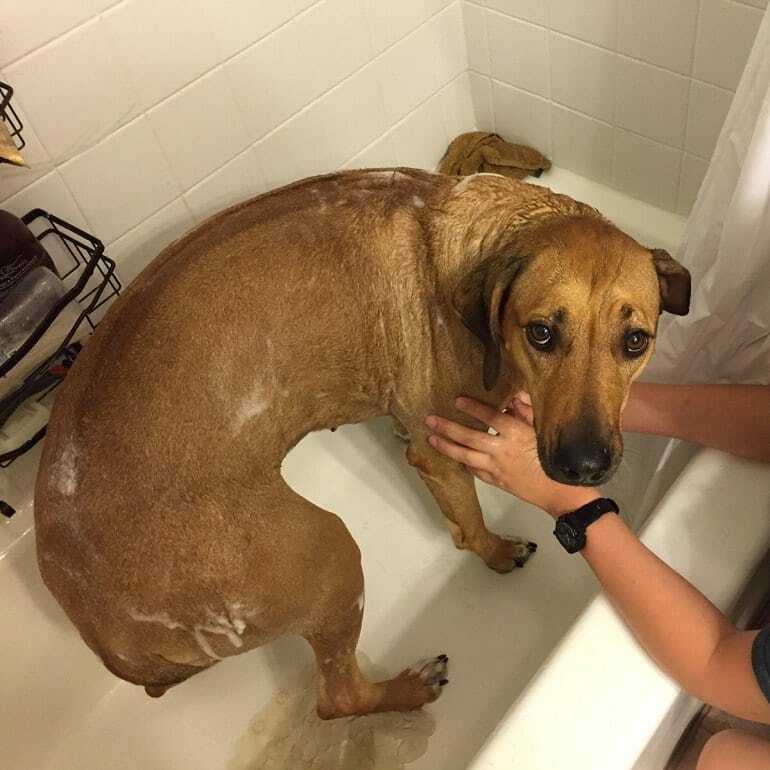 Just why do dogs hate baths so much? 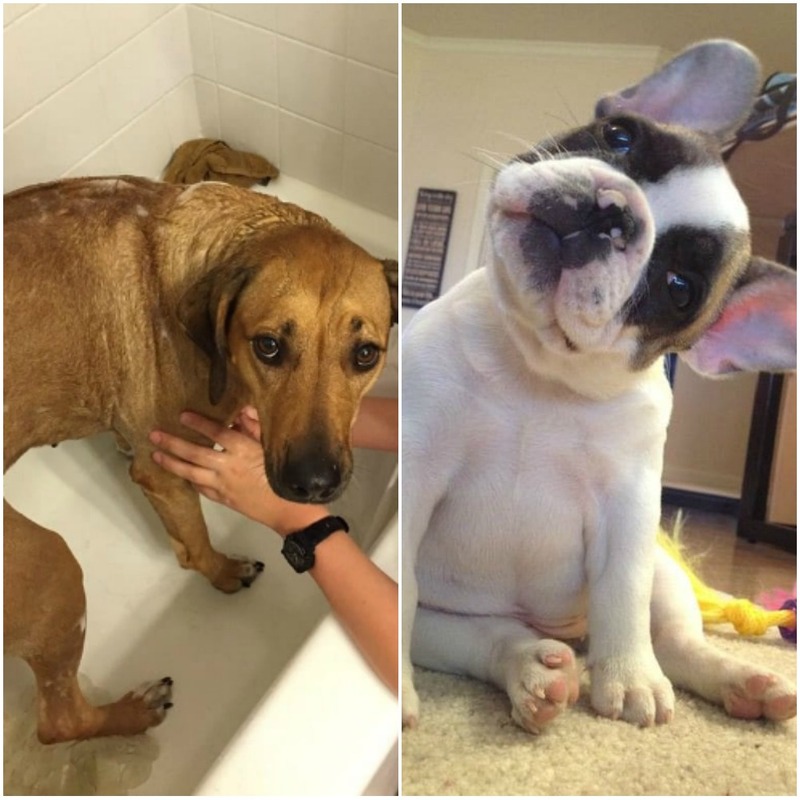 One thought is that washing your dogs in that sweet smelling shampoo eliminates their natural scent. Now, they are vulnerable to any competition as they no longer smell like all their marked out areas. So immediately rolling around in the dirt might not be so strange after all. 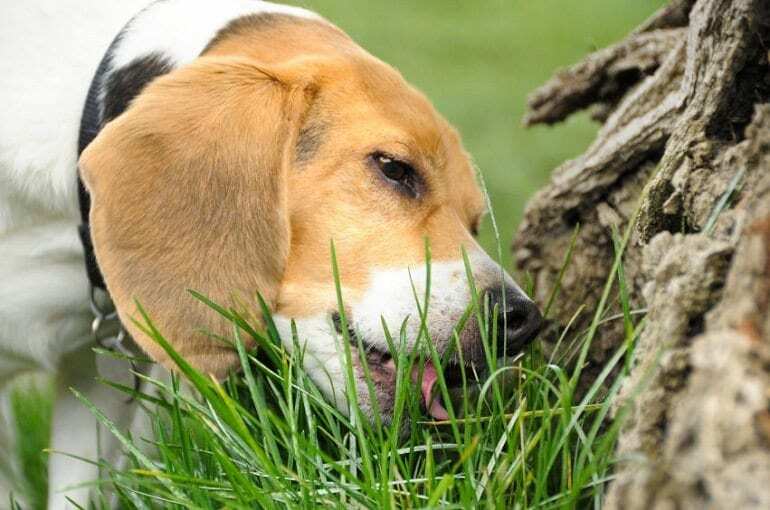 For many years, it’s been thought that dogs eat grass as a way to self-medicate. If they have an upset stomach, eating grass can lead them to be sick and hopefully rid themselves of the issue. Although this is still true, there might also be another reason your dogs are chowing down on the green stuff. Dogs predominantly eat meat. However, adding some grass to their diet replaces the roughage they would usually find in the wild to aid with digestion. So it looks as though there’s no reason to panic. 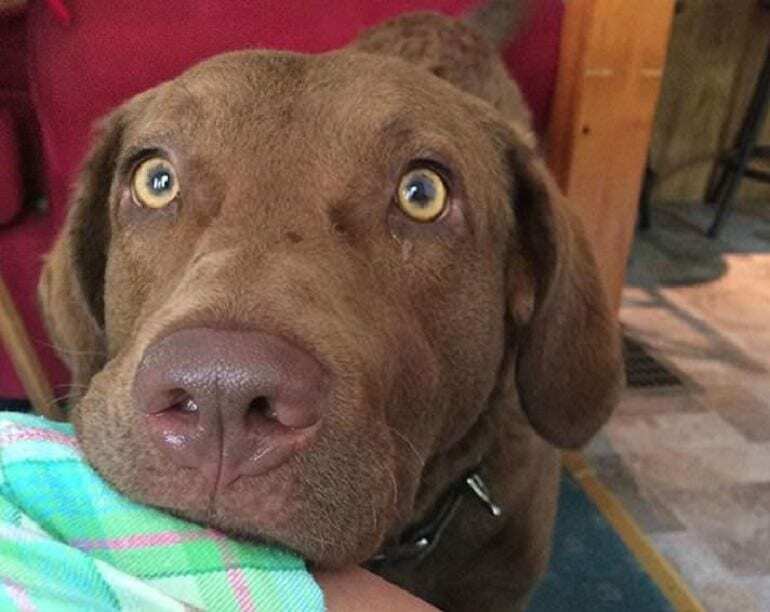 Next: Sure, it’s adorable, but why do dogs actually tilt their heads when they look at you? 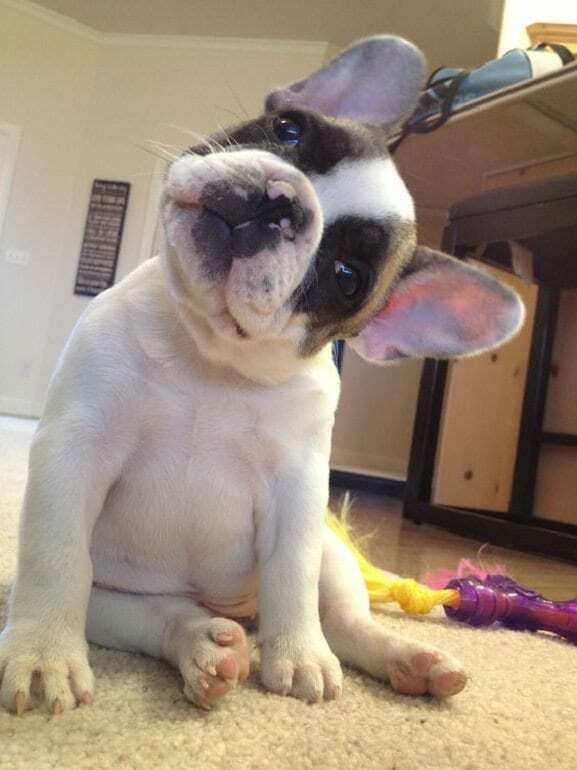 Ah yes, that perfected head tilt that has many of us letting out an “aww” whenever our dog pulls the pose. This is a common behavior in a lot of dogs, and a lot of research has gone into uncovering precisely why they do it. Many now think a dog tilting their head is their way of picking out words we are saying to see if they’re in for a reward. Another thought is our four-legged friends are trying to hear where the noise is coming from. Either way, it still looks pretty adorable. 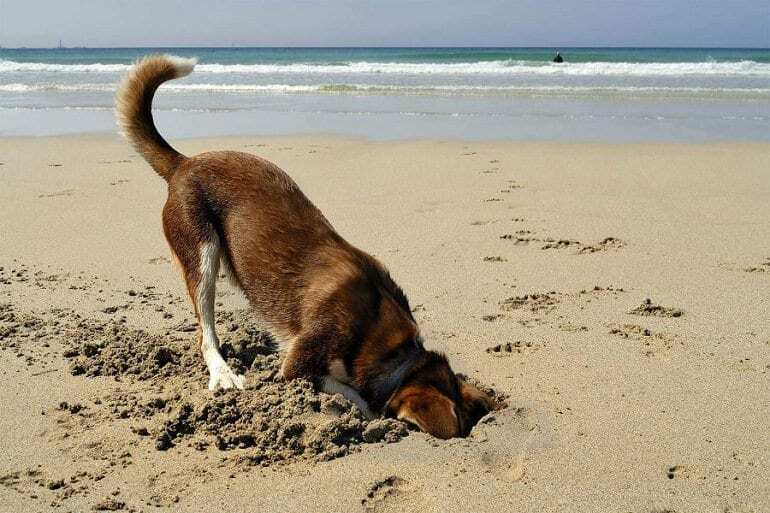 No matter how hard we try, some dogs are just destined to be diggers. Why do they feel the need to make holes all over the yard? Sometimes, it’s merely because our pooches are bored and looking for a way to entertain themselves. Other times, our dogs love to get their paws dirty because they are too hot. When the panting hasn’t worked, they can take to underground to find a cooler place to lie as the soil (or sand!) below will stay at a constant, cooler temperature, no matter how warm a day it is. So now we know why dogs dig, but what about if they make a hole to bury stuff? This doesn’t just have to be outside either. Some pooches will use any opportunity they get to hide their things, such as couch cushions or piles of clothes. 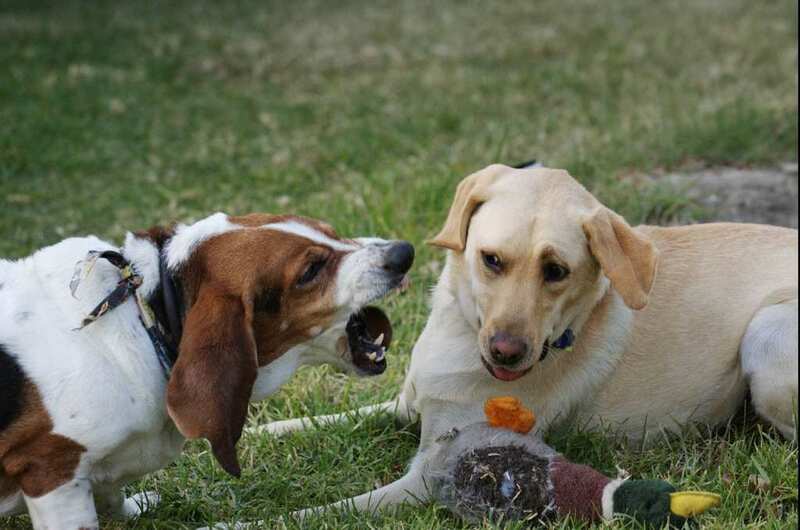 Although our pets are usually safe from anyone coming and taking their food or toys, they can’t beat the instinct. In the wild, dogs would bury stuff to keep it safe from any prying eyes or hungry mouths. We’re starting to think our furry friends are more like their wild ancestors more and more as we find out to the answers to dogs’ most common behaviors. Walking in a circle before going to sleep is another example. Many of us have a nightly routine. However, when a dog starts theirs, it’s usually because they can’t help themselves. In the wild, they would walk over the same spot to make sure the ground was flat underneath. You can’t sleep on an uneven floor now, can you? So you’ve got yourself a new four-legged friend and find that every time you scratch their belly, they begin to twitch their leg. Is something wrong? Should you be worried? Although there is no clear answer, it looks as though it’s a totally normal behavior. 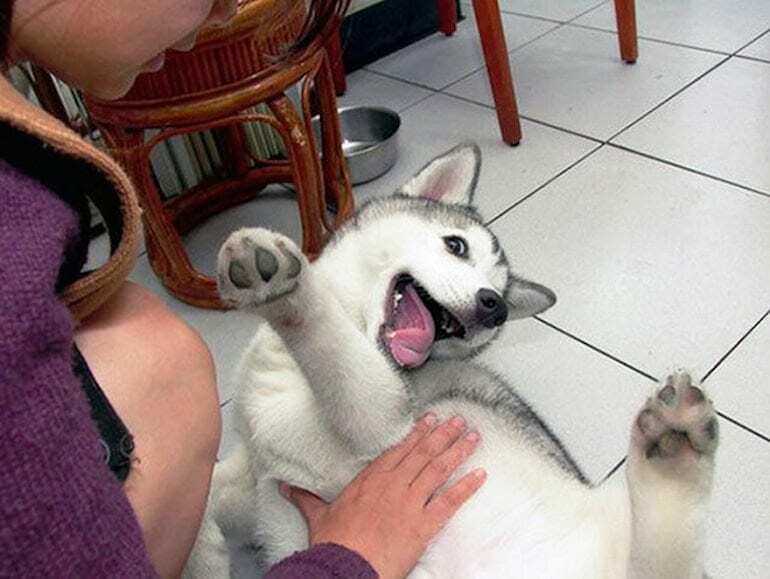 Some believe that dogs can also get ticklish so when we scratch that special place they can’t help but try to reach the itch. Others think there could be a nerve that sends signals to the brain whenever it’s touched that makes a dog’s leg move without thinking. Barking is how dogs use their voices to communicate with everyone around them, but what does it mean? There are various answers. Dogs can bark if they feel scared or confused as a way to tell the person nearby they should back away. However, it isn’t always bad news. Dogs barking can also be their way of saying to us they are bored and want us to come and entertain them, or they are spoiled, and things aren’t going their way. “Walkies” is many dogs’ favorite word. Unfortunately, it can be a battle as all they do is pull on the leash. So why do they do it? For many years, people have believed it’s their way of trying to dominate us. However, there might be a simpler answer. Dogs often tug at us as they know it works. After all, they get where they’re going quicker, don’t they? Pooches can also pull as they merely walk faster than us and need us to keep up. The answer might be easier than we thought. Have you ever been sitting alone but felt as though someone is watching you? That’s when you notice them – the pair of eyes looking at you from down below. Don’t worry; it’s only your dog! It’s typical behavior for our dogs to stare at us, and it looks as though they are looking in the hope we might fall for their charm and give them the love or food they are craving. Just make sure not to stare back. Dogs consider this to be a threat. It might be easy to think that your dog yawning merely means they need more sleep right? After all, it’s hard work being a pooch. However, many times a dog yawning is their way to control their emotions. 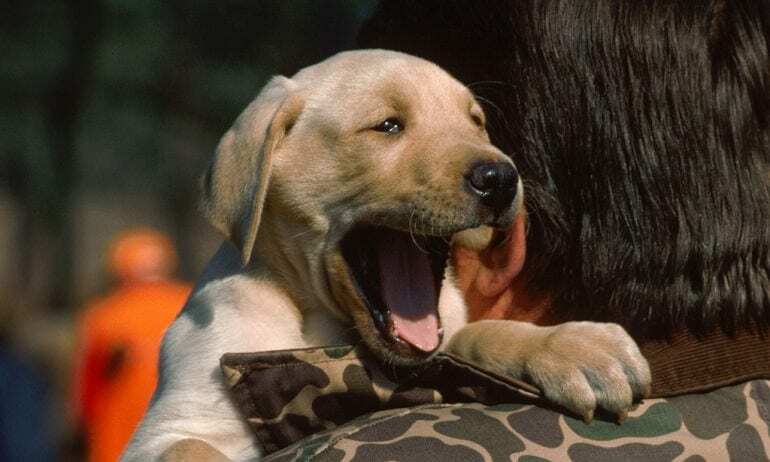 If they’re stressed, canines use a yawn to tell others they need to calm down. Equally, if they are excited about something, a quick yawn helps to keep their emotions in check. Of course, these yawns can also be a sign they need to head back to bed. Next: Does your dog really can’t stand to be away from you for five minutes? To start with, it might be sweet that our dogs follow us to the bathroom. However, it’s starting to get a little weird. What are they doing? Why won’t they leave? Have no fear; your dog isn’t going mad. In fact, this common behavior is easily explained. 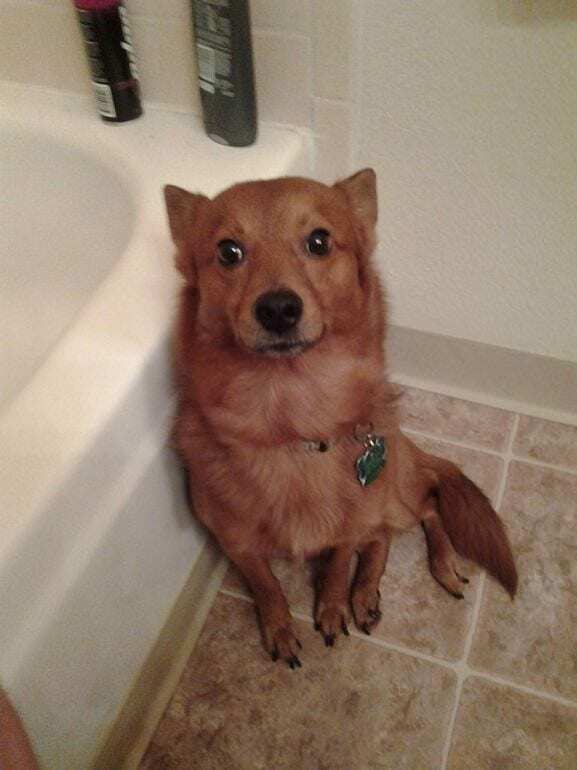 Dogs naturally live in packs, so when you head off to the bathroom, their instinct is to follow you and keep you safe. It’s their natural way to say “I love you” as well as making sure no harm comes to you. It might be sitting on your feet, resting their head on your lap, or full on leaning on your leg. However your dog decides to lean, there is a sweet meaning behind their common behavior. Canines crave physical contact with us humans, and this is their way of getting as close as they can. Plus, this way they know when we are going to leave. No longer do they have to worry about getting left behind or forgotten. 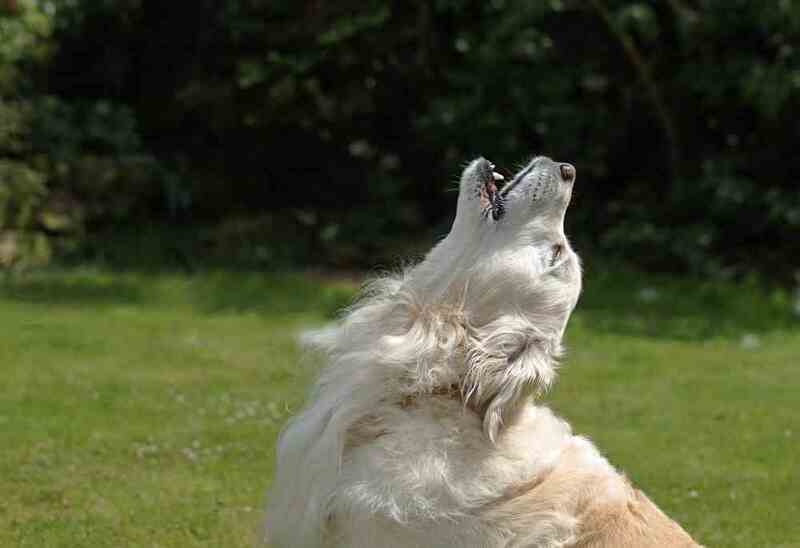 Next: Do dogs really howl because of their wolf ancestors? Wolves often howl to convey messages to their pack members who are far away from them. They also have a low-pitched but loud sound they emit to enforce their rank on their fellow wolves. In the wild, we guess it makes sense. But why would a dog howl in the comfort of his own home? Well, this is possibly a behavior that’s passed on to dogs from their ancestral cousins. 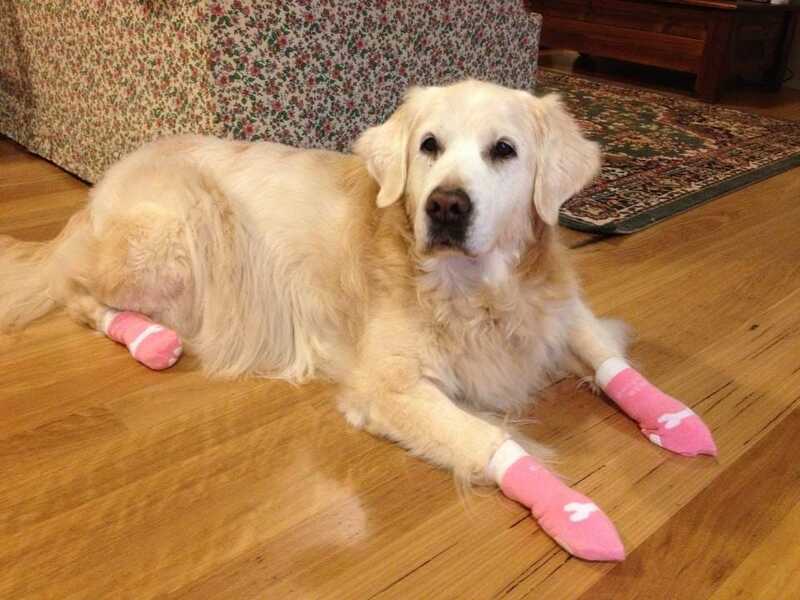 Behaviorists also say the activity is necessary for dogs, as it gives them a rewarding feeling. 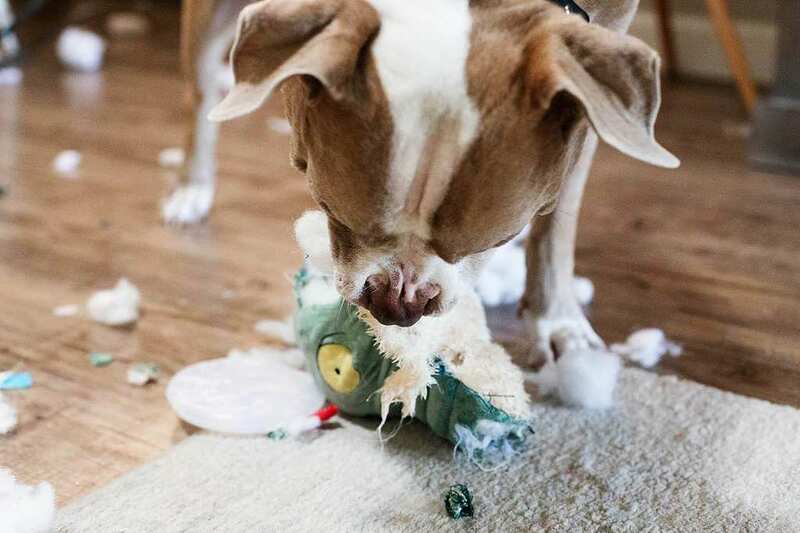 Dogs often love to thrash their toys and plush animals (as well as our clothes, furniture, and our expensive shoes). But why do they squeeze the life out of these toys? Well, it’s their killer instincts. Okay, that might be a little dramatic. If they were out in the wild, they would probably treat their prey like this, but at home, they are just showing playful behavior – it’s just the way they like to play. Many dogs like to “counter surf”, or reach for those counters, and they do it in search for food. Their natural instinct is to hunt for food, and when at home – they hunt for it on the counter and in the trash. 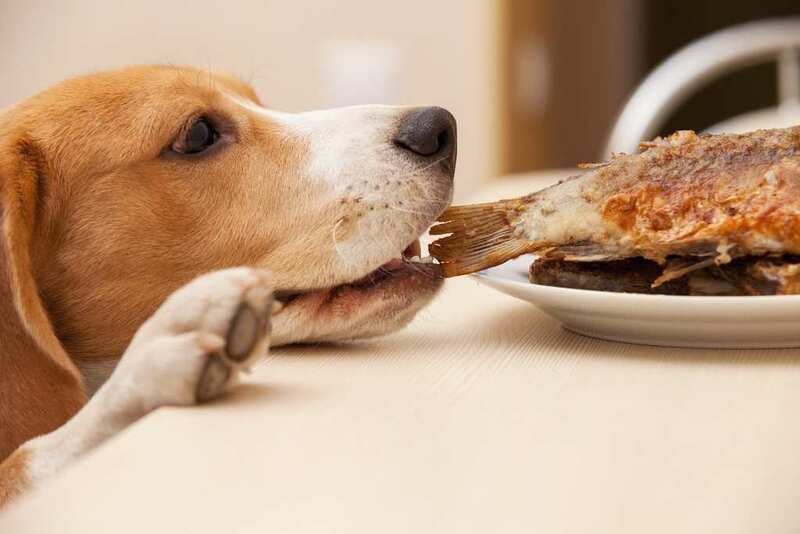 If your dog is counter surfing, they’re likely looking for their next meal and would be rewarded if they find it. So a good way to stop this behavior is to simply keep the food far out of reach. 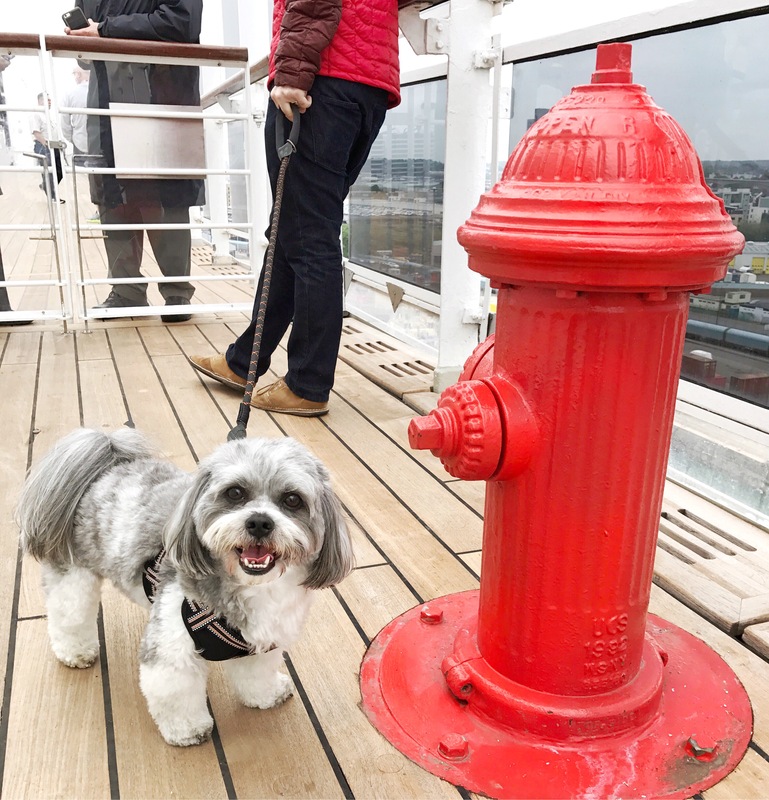 Have you ever wondered why dogs are so obsessed with fire hydrants? They can’t seem to get enough of it! Well, they don’t actually love fire hydrants, that’s a myth. It’s connected to their need to urinate. Male dogs lift their legs whenever nature calls, and a fire hydrant is the perfect height for that. They also probably sniff other dogs who have done the same before them, and want to mark the territory as theirs. Everyone knows dogs are the most loving creatures. If you get a dog – they’ll probably greet you at the door wagging their tails whenever you come home. But there’s another reason, other than their unconditional love towards their owners, that they do this. Since they have short attention spans, they don’t know how long you’ve been gone. 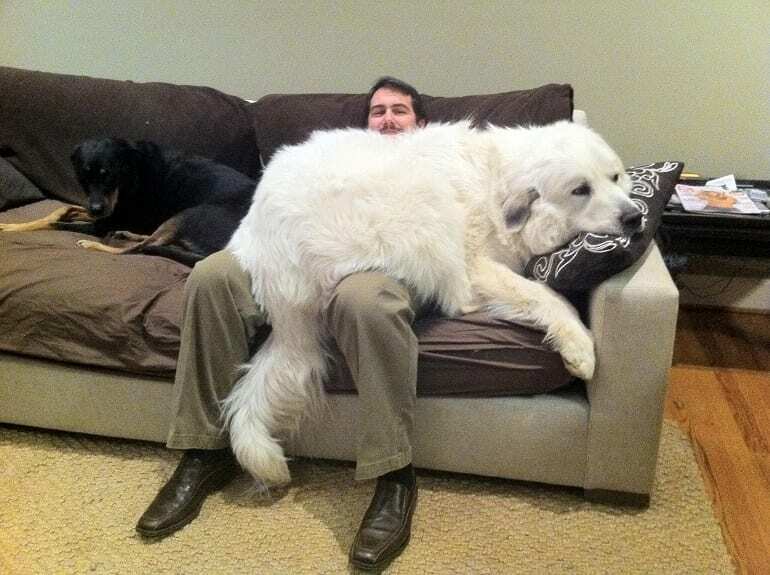 So whenever their owners show up at the door, they’re just happy to have them home with them! Adorable, isn’t it? Dogs are curious things by nature. They love looking around and knowing what’s happening everywhere at any given time. But what goes on outside the house is even more captivating than the inside. There’s so much stimuli outside the house for them, such as loud noises, various people walking around, and even other dogs playing around or barking. 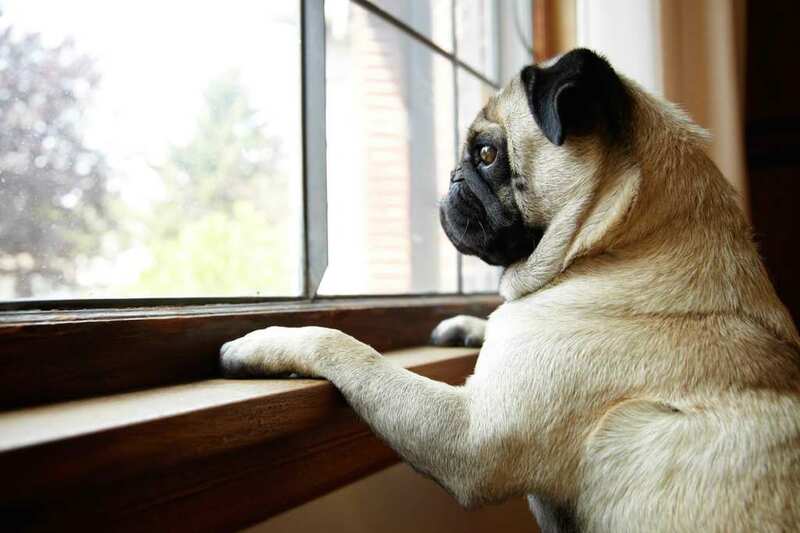 So the window of your home provides them a perfect vantage point to see what’s happening outside. Another behavior that may occur before dogs drift off to sleep, is them scratching the floor. They don’t do it just to ruin your wooden floors all over your house, but it’s actually a ritual for them before going to sleep. It’s meant to comfort them as they feel the warmth of being at home, and claim the bed as their territory. It might seem weird to us, but it’s not so different than fluffing your pillow before you go to sleep. Every dog owner knows this. Your friends come over, ring the doorbell, and your dog can’t seem to stop barking and scratching at the door. This has two reasons. 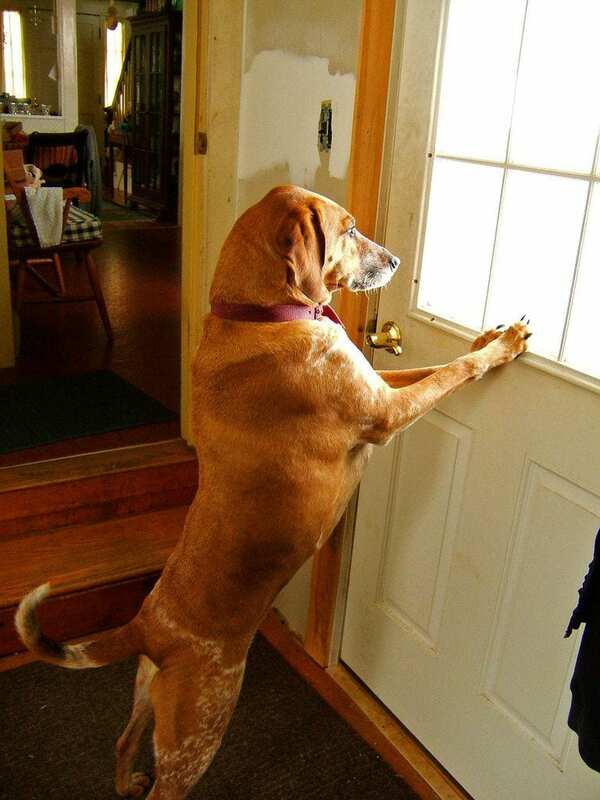 Dogs are usually very friendly creatures, and they’re excited to have company – so they try to see who’s at the door. 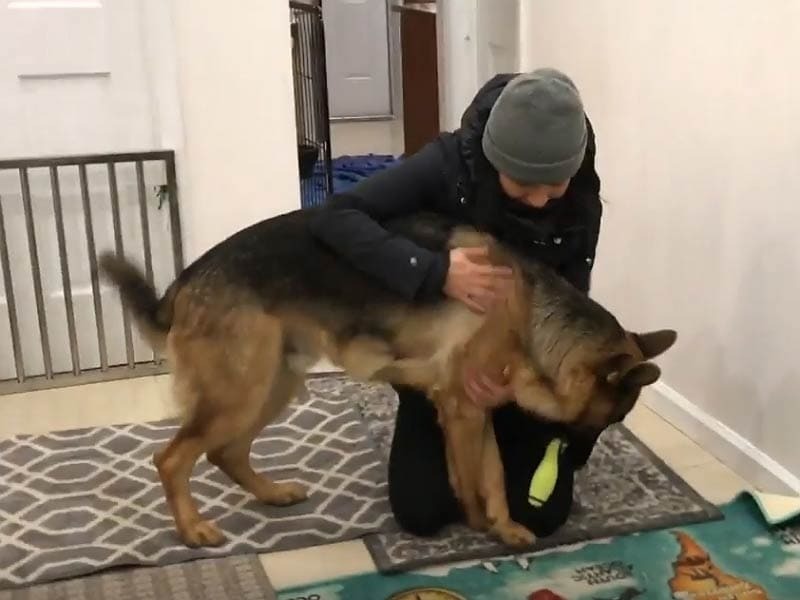 The second reason is, dogs are also incredibly protective of their owners and their home, so they’re also looking out for potential threats in order to keep their owners safe. 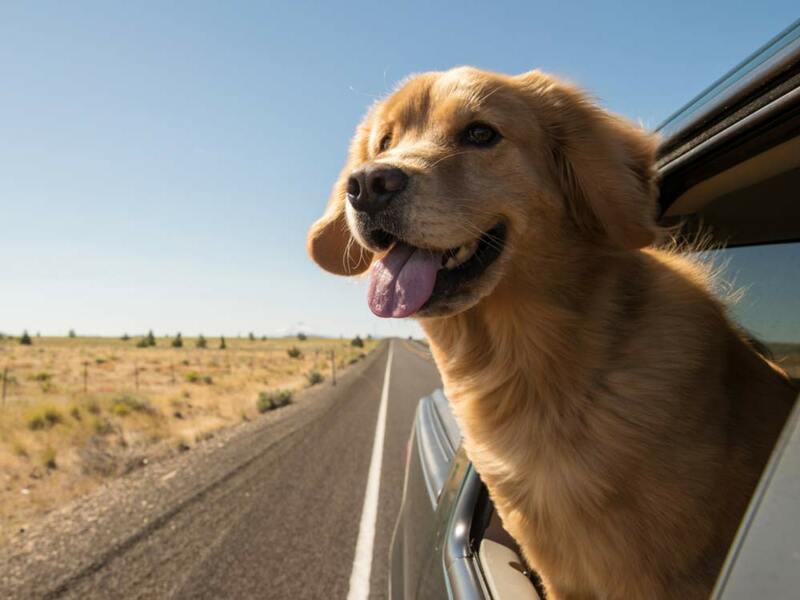 Most dogs love going on car rides. It’s a new kind of adventure and learning experience for them, as they can discover brand new surroundings and view everything happening outside, time and time again. They also look forward to spending time with their owners! But why do they stick their heads out of the car window? Well, it’s pure joy for them! They love immersing themselves in everything that’s going on outside. To them, it’s really exciting. If you’ve ever asked yourself why dogs like to sniff each other so much, it has a good reason. 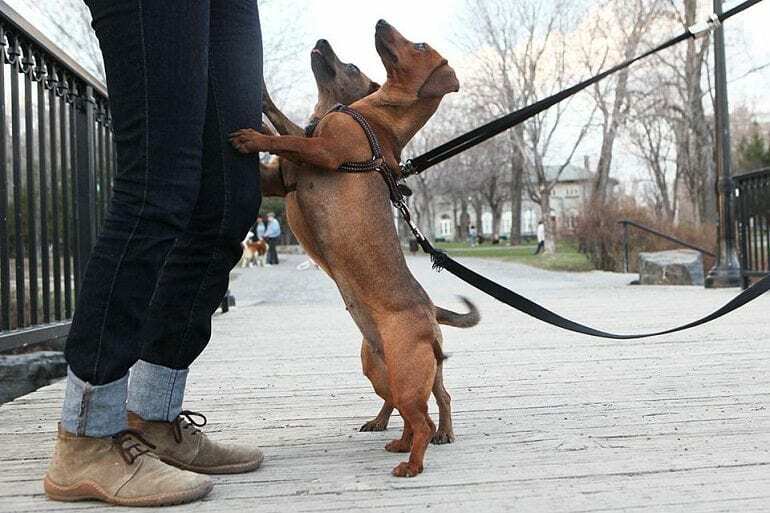 Dogs do this to greet each other, just as we might shake another person’s hand to greet them. And just like we can learn a lot about a person by their handshake, they can also get a good sense of who this other dog is. 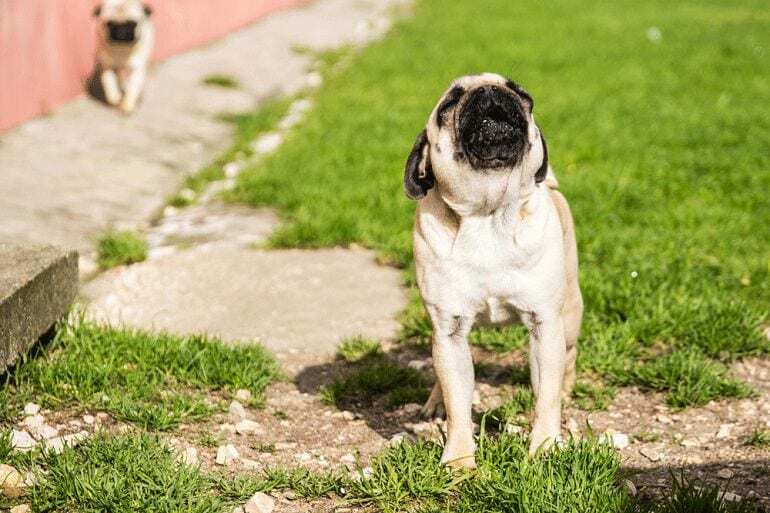 They usually sniff the other dog’s bottom, as that’s where the strongest odor is, but they might also sniff their ear, or even their whole body. 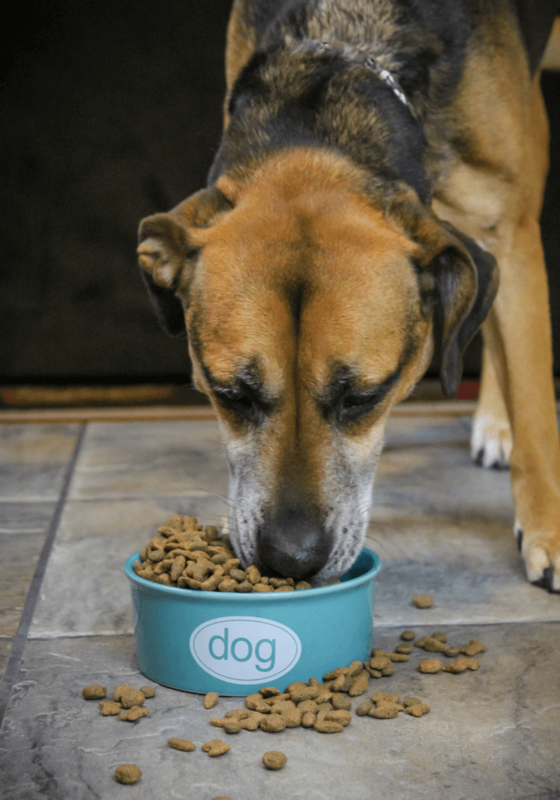 Have you ever noticed your dog is taking food out of its bowl just to eat it somewhere else? There are two explanations for this. It might be leftover instinct from the dog’s ancestors, who hunted in the wild and brought food to a distant location to avoid other pack members taking their food. Another option is, they simply doesn’t like their bowl or where the bowl is located. It could be the wrong width or depth, or even make a distracting noise as they eat. Next: Just why are dogs so afraid of thunder storms? Well, this one is fairly understandable, since we’ve been known to occasionally hide under the blanket ourselves during a thunder storm. But in dogs, this fear can actually become a phobia, which can cause them to pace, shiver, and drool during a thunder storm. If this happens, you can try putting on a CD of thunderstorm noises at a low volume, while playing with your dog and giving them treats. Then raise the volume level slowly when they’re comfortable, to get them to associate thunders with good times. Some dogs can be incredibly friendly to human beings, but when they encounter other dogs, they just don’t seem to get along with them. 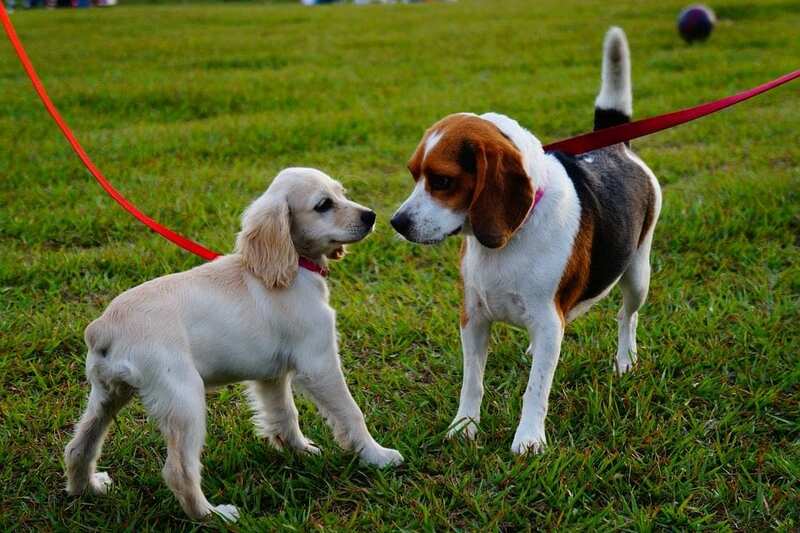 This kind of behavior usually occurs when dogs don’t get enough positive experiences with other dogs while they’re growing up. Ages three weeks to three months in a dog is a critical time for their socialization, so if they don’t see other dogs at all, they just might think they’re aliens. 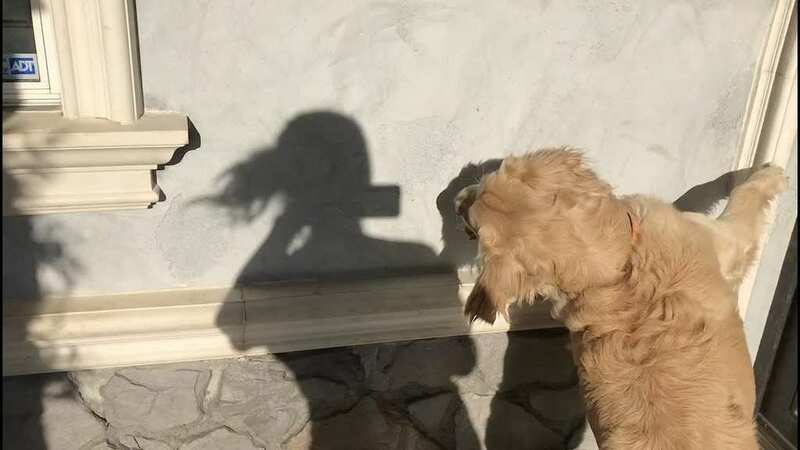 Dogs often chase around patterns of light and shadow across the wall or on the floor. It’s quite amusing to watch your dog do this, and you may be surprised to learn that it’s actually part of the reason why they do it. They can tell you’re amused by the way you react, so they might do it to get some positive attention. However, if they do it obsessively, it might be compulsive behavior – in which case, it should be nipped in the bud. 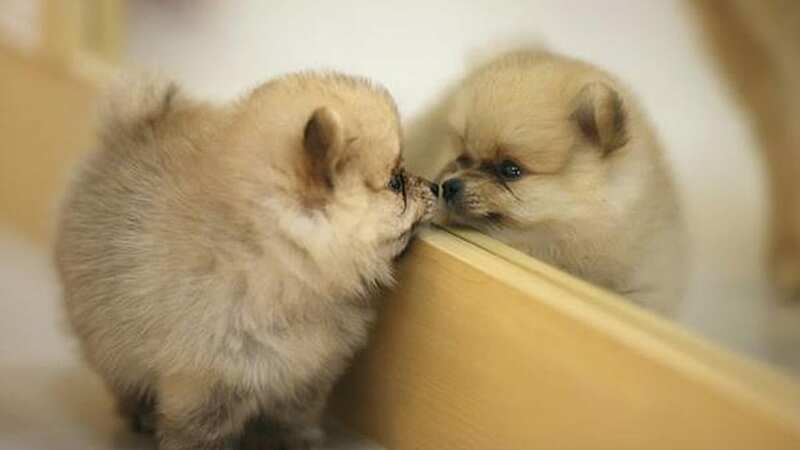 One of the cutest things to watch is a dog barking at their own reflection in the mirror. Sometimes they might even avoid their reflection altogether! Well, if your dog goes this, there’s no need to worry. This is completely normal behavior for a canine. To them, it’s an odorless dog suddenly appearing inside their house, mimicking their every move. How creepy! It might be as scary for them as seeing a ghost, but they usually learn to just ignore it when they see it.